Chicken is good and healthy for you for so many good reasons. Chicken helps build muscles, keeps your bones healthy, relieves stress, reduces pms symptoms, boost your immunity, and best of all, promotes heart health. Chicken doesnt cost alot either. I enjoyed putting this cookbook together and many thanks goes to all JAP cooks for their delicious recipes. Look how healthy this salad is, how delicious it is. I had fun making it. Hope you like the recipes. Always looking for good chicken recipes. Great cookbook full of scrumptious meals. Thanks for putting this together. There were several recipes I saw that I want to try. Chicken is always a good way to go and healthy too. I doubt that I rule, lol but thanks, just love making the cookbooks. I love Chicken so this was easy for me. Hope you like the recipes. Congratulations on another great cookbook with a slew of fantastic recipes! You rule!! Thank you for including my Chicken Eggplant Lasagna, and wings in yoir awesome cook book. 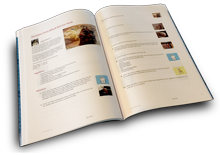 I am honored to have my recipes included in your book. I pinched 5 recipes of yours. You should make a cookbook too, once you start, oh my, they are fun to make. Thanks very much for including my recipe in this great collection!! Hope this hello finds you doing well and having a wonderful day, glad you like the cookbook.